I had recently been contacted by the good people at East Room for a tour of its modern workspace. 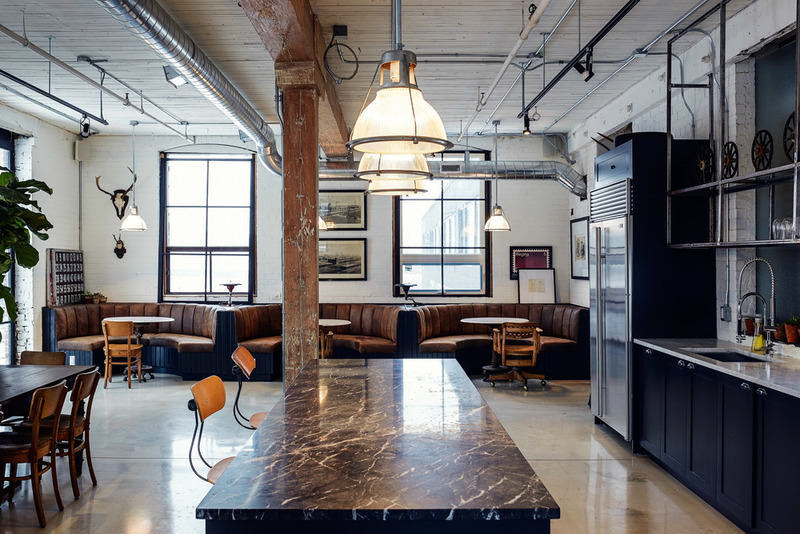 It's owned by brothers, Derreck and Samuel Martin whose concept was to design and reinvent a membership community for young, forward-thinking, creative professionals in Toronto. Based on my online portfolio, I was selected to view and partake in the co-working space prior to officially opening to the public. After doing my research and chatting with Co-Founder, Derreck Martin and Melissa Serrano of Membership and Marketing, I felt like it was a space I naturally and organically fit in. While soaking in the space and all its natural light, I evaluated my everyday, hectic, lifestyle and I couldn't agree more... East Room is the ideal workspace in an ideal location in the east end of the city. It's located right off the DVP and right on the Queen strip, which makes for easy access to and from home, to and from work, and a fair location for clients to visit me. As an added bonus, the space is open 24/7, which is ideal for an night owl such as myself! I'm hooked. 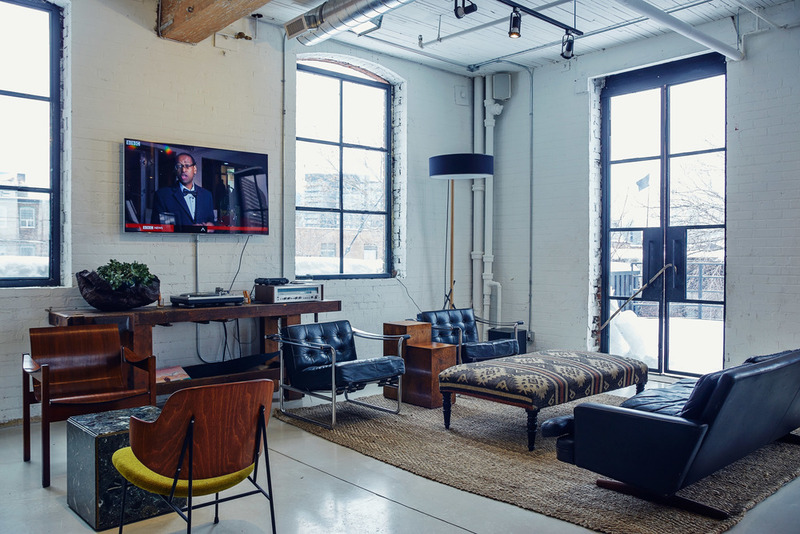 TORONTO — Located in Toronto’s bourgeoning Riverside neighbourhood, East Room is reinventing the modern workspace where creative professionals can flourish. This co-working membership outlet is separated into two: club and resident, and both cater to forward-thinking freelancers, creative professionals and small businesses. East Rood aims to offer a community, location, and the tools necessary to grow their unique member’s careers. Their dynamic community of members includes some of the city's most creative minds working in the fields of: media, art, technology, and design. “The idea is a cohabited environment with creatives that range from freelancers, videographers, and even a few venture capitalist!” Derreck said. Each potential member’s application is reviewed to ensure that they will fit into the ecosystem of East Room, as they strive to create a co-operative space of professionals that share complimentary skills to benefit the whole. East Room provides the ideal environment for like-minded individuals to collaborate, share ideas, and merge their talents. According to Melissa Serrano of Membership and Marketing at the East Room, she had mentioned that members for both the Club Membership and Resident Membership have access to meeting and lounge spaces, state-of-the-art technologies, and exclusive member events. In addition, as a member, you will be part of a curated community of technologists, artists, designers and futurists whom you may grow your business with professionally as you share ideas or even merge talents as various projects come and go. All founding members will be part of the growing business of the East Room as it plans on expanding by building photo labs, sound studios, test kitchens, and fashion ateliers. The East Room's workspace has been designed with refinement and comfort in mind; providing the perfect environment for work and play. 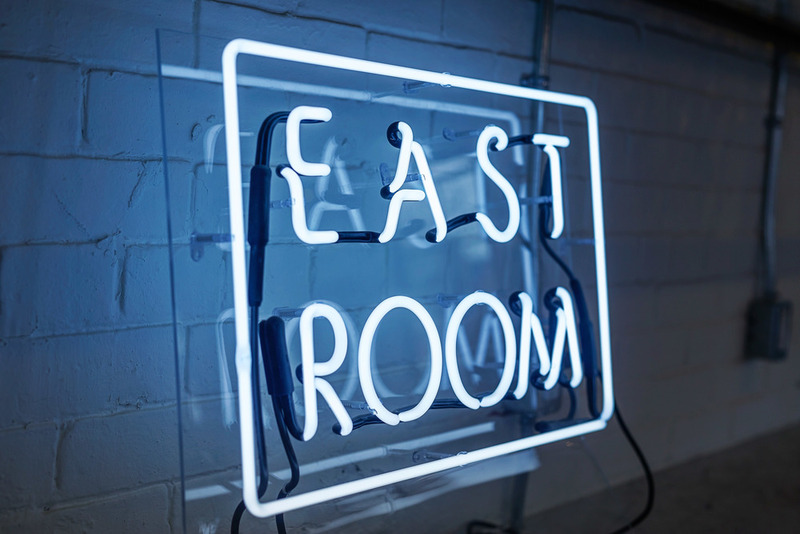 To find out more about the East Room visit them online here, follow them on Instagram and Twitter, or send an email request to book your complimentary tour at: info@eastroom.ca.